With Assassin’s Creed set to gracefully swan dive into movie theaters this winter, one might assume Ubisoft, creator of the game franchise, is excited to be associated with what might possibly be the first video-game-to-film adaptation that doesn’t stink. Or, failing that, the company would embrace box-office profits as moviegoers line up to watch Michael Fassbender in a hoodie stabbing insufferable fat cats from across history. Ubisoft’s core vision is to create top quality entertainment and experiences. 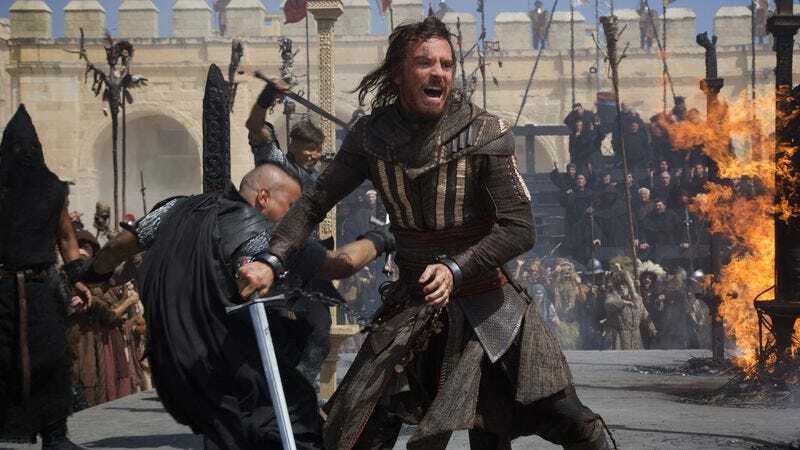 For the Assassin’s Creed film, we have worked closely with our partners at New Regency and 20th Century Fox as well as the talented cast and production team from the very beginning to ensure we deliver a quality experience to ours fans. We strongly believe the Assassin’s Creed brand has this cross-over appeal that will please both video games fans and moviegoers.